Reaffirming their commitment to combating climate change and doing business in a sustainable manner, Aitken Spence Hotels, the pioneers of biomass energy in the Sri Lankan hospitality industry, recently partnered with atmosfair, Germany, to embark on a venture that will not only reduce the carbon emissions of the hotels but will also strengthen the communities in the areas the hotels are built in. As an organization that is committed to combating climate change, Aitken Spence Hotels works with an Integrated Sustainability Policy and the choice to work towards helping both the environment and the communities they work was a natural extension. Biomass was chosen over other forms of renewable energy as it offered the unique opportunity to support the communities they work in as well as to help combat climate change and reduce their environmental footprint. Speaking on the project Malin Hapugoda, Managing Director of Aitken Spence Hotels said “Heritance brand is unanimous with unique architecture and living traditions. We have gone as far as possible to be environment friendly and our most significant effort in this area is the decision to supplement hotel’s climate change mitigation actions by replacing non-renewable fossil fuel with bio mass. We decided to opt for bio mass against other renewable energy options so that we can extend the benefits to the local communities”. The partnership between Aitken Spence Hotels and atmosfair will spread its benefits to around 400 farmers and their families in the rural areas where the hotels operate, by helping them generate income from their barren and unfarmed lands. The project focuses on using regenerated wood supplied by the farmers to generate energy, thereby ensuring that no existing farm or forest land will be depleted as a result. Farmers will be provided with an incentive after they go through an identification and screening process to ascertain eligibility. The use of biomass has many fringe benefits as well. The cultivation of Gliricidia, which is used to generate energy, helps convert land that is lying fallow or barren into fertile lands once again. The reduction in the use of diesel has the double benefit of being more environmentally friendly and also saving the country’s foreign exchange, which would otherwise be spent on energy generation. Renewable energy in the form of biomass was first introduced by Aitken Spence Hotels at the Heritance Tea Factory in 2007. The biomass gassifier plant converts Gliricidia plants into energy that helps run the hotel. The Heritance Kandalama followed suit, with the biomass gassifier plant replaced auto diesel. Through this project in the two hotels a total reduction of 750 tons of CO2 emissions was achieved, emissions that would otherwise pollute the atmosphere and contribute to climate change and global warming. atmosfair is an organization that was set up in Germany in 2005 by the German Government Federal Environment Agency and Germanwatch, an environment and development organization to support carbon offsetting across the globe. atmosfair is currently working in Sri Lanka and is partnering with Aitken Spence Hotels on their initiative as it offers the rare combination of helping the planet and the people, two crucial factors in the triple bottom line. The dedicated CSR programme of Aitken Spence Hotels, the Brighter Futures Foundation will implement the project through the Aitken Spence Charity the Spence Evoluzione Charitable Trust. Although possible emissions caps could come into effect on the aviation and hospitality trade in the near future, thanks to their latest endeavor with atmosfair, Aitken Spence Hotels will continue to future proof itself and stay one step ahead of global trends. Further expanding its commitment to environmental responsibility, Adaaran Resorts embraced World Earth Day with an entire day of activities and services designed with sustainability in mind. Adaaran Resorts commemorated the day by organizing an Earth Day Art Competition, tree planting programme, reef cleaning programme and lights were switched off to reflect the Earth Hour. The art competition was organized for the school children at Guraidhoo School. An awareness speech on Earth day was delivered by the Manager, Mohamed Ali, while the executives of the company enjoyed working and assisting the kids in their drawing contest. Staff and Guests willingly took part in cleaning the house reef and they enjoyed the clear waters and the dip in the ocean. Earth Hour became a romantic event while guests had their dinner with candle light. Some guests sat under the canopy of stars and were thrilled as they commented that it is a moment they will cherish for the rest of their lives. Meanwhile, Mr and Mrs Juergen Viergutz of Germany, who has been visiting Adaaran Meedhupparu since year 2000 from its inception, visited the resort for the 20th time on that day. The day after World Earth Day coincided with Juergens’s birthday. They planted a Banyan tree in front of their room to commemorate the day and stated that they will visit Maldives further to see the growth of their tree and to enjoy the friendliness of staff at the resort. Juergen who liked to spend his evenings in fishing, said that Maldives is the best place to be out in the ocean and enjoy a good fishing trip with the best boatman. The German couple always showed interest to meet the Chief Operating Officer of Adaaran Resorts, Upul Peiris during their visit. Upul used to be the General Manager of Meedhupparu back when then when they first visited the resort. Mr and Mrs Juergen Viergutz have been visiting Maldives three times per year since their first visit. They said that Maldives is the best place on earth for vacation. According to them, they have spent more than 365 nights at Meedhupparu if calculated. They said that they would like to stay even longer. Dunsinane Estate, a part of Elpitiya Plantations which is managed by Aitken Spence Plantations. Received a Merit Award at the Taiki Akimoto 5S Awards Ceremony. The much anticipated awards is organized for the 15th year by the Japan Sri Lanka Technical & Cultural Association (JASTECA) with the participation of ninety five public and private institutions. 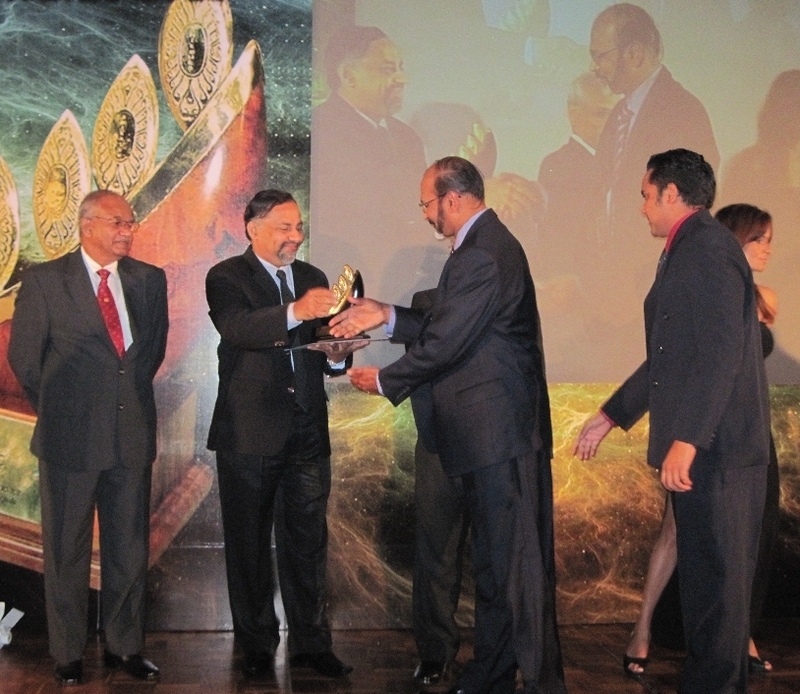 Dunsinane Estate was the only plantation company to receive an award at this prestigious event. He added that Dunsinane Estate now hopes to extend the implementation of 5S to the schools in the area and the households of the work force. Mr. Pahathkumbura General Manager- Upcountry Cluster 1 Estates of Elpitiya Plantations PLC is seen receiving the award at the Taiki Akimoto 5S Awards Ceremony. Gulugahakanda Estate managed by Aitken Spence Plantation Managements Ltd. won the title of ‘All Island Best Child Development Centre’ for ‘Outstanding Achievements in Quality Services in Child Development Centres’ for the year 2010. The competition was organized by the Plantation Human Development Trust (PHDT) and the finals were held at the Gulugahkanda estate on the 19th of March 2011. The annual competition attracted 437 participants from all parts of the country this year. When choosing the winner for the title of ‘Outstanding Achievements in Quality Services in Child Development Centres’, the decision of the PHDT was based on areas such as the activities children were involved in, pre-school education the children received and the quality of Child Development Centre records maintained. At present the Child Development Centre at Gulagahakanda Estate has 27 children below the age of 5 under their care. All activities done at the crèche are in line with the National Early Childhood Development Guidelines and are frequently monitored by PHDT. 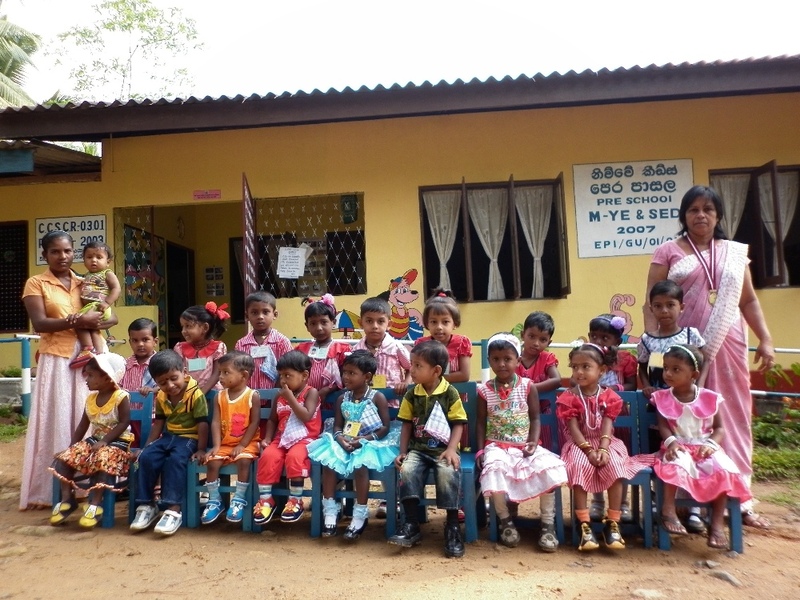 “The management of Gulagahakanda Estate encourages estate worker’s children to attend the Child Development Centre. The estate workers themselves have a very high sense of confidence in the Gulugahakanda Estate Management and its Child Development Officer. We have been monitoring their child care activities in which they maintain very high standards. They are winners of this category because of their sheer commitment towards community development”, said Mr. Lal Perera Regional Director of PHDT. When questioned about future plans for the Child Development Centres, it was mentioned that Elpitiya Estates will continue to train and develop the Child Development Officers in charge of the centers. It also hopes to open up the pre-school for village children in the near future. Calspence Technologies announced today that it has become a Gold level member of Oracle PartnerNetwork (OPN). Calspence will market; implement and support Oracle Content Management to help customers enhance business efficiencies, reduce expenses and be more profitable. Calspence Technologies is a joint venture between Aitken Spence PLC and California Software Company Limited (Calsoft), providing Systems Integration services with focus on Oracle Content Management, the Oracle E-Business Suite, Oracle’s Siebel Customer Relationship Management, and strategic Information and Communication Technology investments. Areas that they target include Financial Services, Commercial, Manufacturing, Plantations, and Telecommunications industries. Aitken Spence, the holding company for Calspence is one of Sri Lanka’s leading and most respected corporate entities with a diversified portfolio of businesses in Hotels, Services, Logistic Solutions and Strategic Investments. Calsoft is a product engineering & enterprise solutions company with a strong background in development and implementation with presence in 12 global locations. Mr. J M S Brito, Deputy Chairman and Group Managing Director of Aitken Spence PLC said, “We have identified Information and Communications Technology as a key area of focus and a thrust industry. Seeing the potential that Calspence has to offer to the market with the absence of a strong Systems Integrator in the country, we will continue with our strategic investments in this area. As a Gold level member of OPN, we are confident of offering exceptional solutions to the market” he concluded. With its OPN Gold status, Calspence receives the benefit of being able to start developing specializations that will allow them to grow their business, increase their expertise, reach higher levels of customer retention, and create differentiation in the marketplace. Gold members also become eligible to resell all Oracle Technology products and can apply to resell Oracle Applications and Industry Solutions. In addition, they will have access to Oracle account representatives and My Oracle Support updates for all products, discounts on training, limited free assessment/exam vouchers, reduced rates on the purchase of Oracle licenses for internal use, discounts on advances customer services amongst other benefits. “We see a strong synergy between Oracle Content Management and the key focus and collaboration efforts of Calspence from a go-to-market perspective. Having the best-of-breed solution from Oracle, we will enhance our ability to provide our valued enterprise clients with solid, proven, scalable and cost effective solutions”, said Dr. Vickum Senanayake, General Manager of Calspence Technologies. A few of the projects which signifies Calspence’s success in the short span of time, are the implementations of Oracle eBusiness Suite (EBS), Oracle Content Management, the development of a financial shared services centre, and development of web-based content management systems for the travels, services & manufacturing sectors.